OnePlus is going to release the latest flagship smartphone from the company very soon which has been confirmed to be named as the OnePlus 6. Now, we have already known that the OnePlus’ latest flagship smartphone currently is the OnePlus 5T which was released in November last year and the OnePlus 5 was released earlier last year. As far as OnePlus is concerned, the company has been releasing two new flagship smartphones every year for the last couple of years. Also, it is expected that the OnePlus 6T will be released later this year but nothing has been confirmed yet by OnePlus. Talking about the OnePlus 6 which is going to be released soon by the company, we have known most of the specifications of the smartphone already. 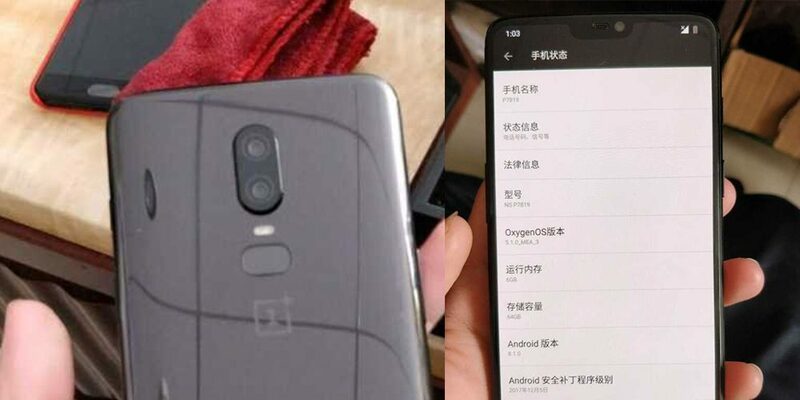 Regarding the specifications, OnePlus has confirmed that the smartphone will come with a Notch and the fact that it will have the latest Snapdragon 845 chipset from Qualcomm. Apart from that, it is also leaked that the smartphone will have 8GB of RAM and 256GB of internal storage for its highest variant. Now, we have come to know of yet another major detail about the OnePlus 6 which is its pricing in the Indian market.